Combining a fantasy theme and fantastic potential jackpots, Dragon Kingdom is a five reel, three row and 20 payline slot which is sure to get players feeling every inch like kings of the castle. Offering the chance to win simply gargantuan top jackpots, the Dragon Kingdom slot also introduces wild symbols, scatters, free spins and an innovative split reel feature to the equation, to make gameplay interesting and immersive to boot. Thanks to Dragon Kingdom’s split reel feature, its top payline jackpot can be worth a breath-taking £1.25 million. That split feature, together with wild symbols and scatters which trigger both instant wins and free spins, makes gameplay really fun and immersive. Payouts below the top jackpot still remain impressively generous. A wide range of staking options per spin are provided, to cater for players of all budgets. 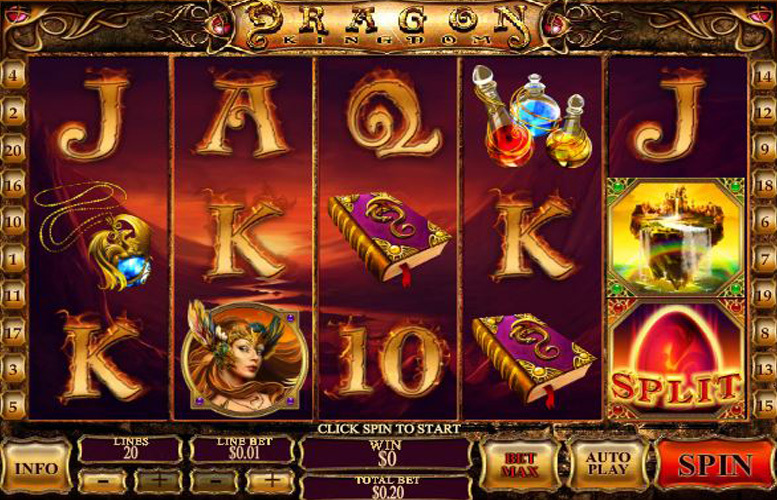 Whilst Dragon Kingdom’s features are innovative, the slot doesn’t have a bonus game, which is a shame as its theme could easily lend itself to one. 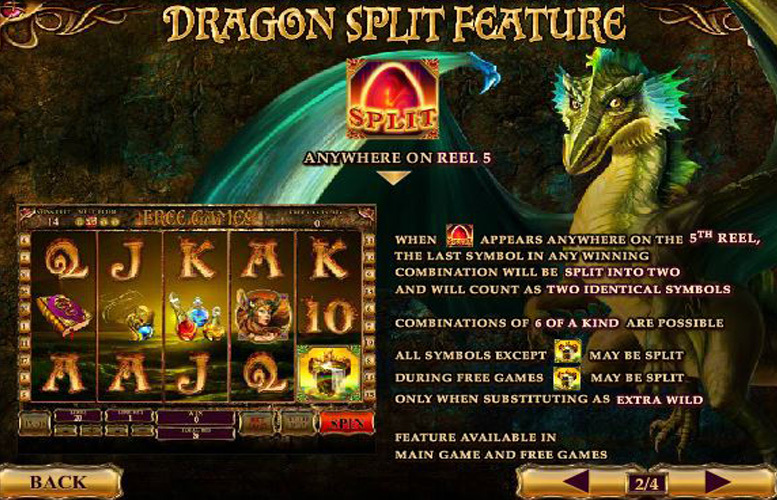 Dragon Kingdom is a five reel slot but includes an innovative split reel feature that can cause reel five to become two identical reels in certain circumstances. We will explain more about that later, but what it means is that the highest paying combinations in the slot are actually composed of six rather than five matching symbols. The best combination of all is one featuring six of the game’s dragon wild symbol. If that combination lines up along an active payline after a spin, the resulting jackpot will be worth 25,000 times the player’s line bet. The top possible line bet stands at £50, meaning that the jackpot can be worth a gargantuan £1.25 million. We’ve already made reference to Dragon Kingdom’s split reel feature, but that is far from its only extra element. 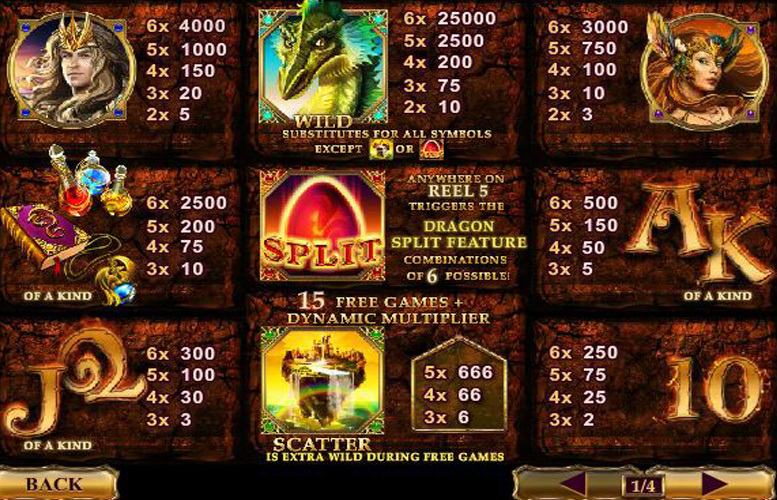 The slot also includes wild symbols and scatter symbols which trigger instant wins and dynamic free spins. Probably the most important additional feature of Dragon Kingdom, the game’s fifth reel splits in two if one of the dragon’s egg split symbols appears on it. Rather than one set of symbols, therefore, the reel becomes two matching sets allowing for potential six symbol combinations. Able to appear anywhere on the reels, the slot’s wild symbols depict a fearsome dragon and can substitute for all symbols other than the dragon’s egg split symbol or the floating city scatter symbol. That is alongside their role in potentially making up the game’s most valuable payline combinations. Depicting a mythical floating city, the Dragon Kingdom scatter symbols pay out instant wins if three or more appear on the reels at once. That’s not all, however, as three or more of the symbols also trigger 15 free spins with a dynamic multiplier and an extra wild. It is the floating city symbol itself which forms the extra wild, and the multiplier begins randomly at either x2, x3, x4 or x5 and increases with each winning spin or decreases with a losing one. Carrying on the slot’s fantasy theme, Dragon Kingdom’s regular symbols all depict characters or items related to the genre. The most valuable of the regular symbols, in terms of the payline combinations they can create, are the medieval prince and princess symbols. Six of the medieval prince symbols – assuming the split feature has been triggered – along an active payline results in a jackpot worth 4000 times the chosen line bet. A similar six symbol combination of the medieval princess symbols, meanwhile, leads to a jackpot worth 3000 times the bet per line. As and when they wish to alter the size of their bet per spin, Dragon Kingdom players have a couple of different options. Those are to change the number of paylines active for the spin, the amount they bet per payline or both. 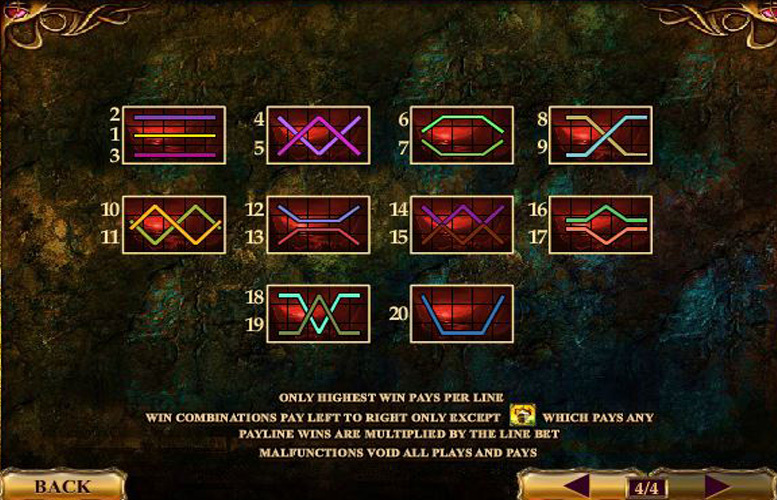 The slot features a maximum of 20 paylines and anywhere between one and that maximum can be active for any spin. A huge range of line bet options between 1p and £50, meanwhile, are made available and mean that the minimum possible total bet is 1p and the maximum is £1000. It’s obvious that fans of the fantasy genre are sure to love the Dragon Kingdom slot, but there is plenty to persuade other players that they might want to give the game a try too. First and foremost, the slot’s top possible jackpot is worth a mammoth £1.25 million, making it unquestionably the biggest non-progressive jackpot around. The size of that jackpot is dependent upon the slot’s innovative split reel feature, and that is just one of a number of additional elements that also make Dragon Kingdom’s gameplay fun and immersive. Those other features include wild symbols, scatter wins and free spins, which all have the added bonus of also boosting winning potential. As if all of that weren’t enough, too, Dragon Kingdom also boasts one of the widest ranges of possible bet amounts per spin of any slot. This game has a rating of 5 / 5 with 783 total reviews by the users.